This workout plan is specifically made for women aged 30 or older in mind. For this plan, we’ve focused on incorporating variety and intensity. Both strength training and cardio are essential to any workout plan, and the intensity levels for this particular regimen can be adjusted, depending on the individual. Keep in mind that what is challenging for some at age 30 will be easy for others — but this basic workout is a great start for just about anyone. Use this as the foundation to build on other workouts as you progress. Aim to complete these three cardio and strength workouts one a week. Additionally, try to get moving for at least 30 minutes per day. For your daily movement, you can walk, dance, do household chores, run, or participate in whatever physical activity you prefer. 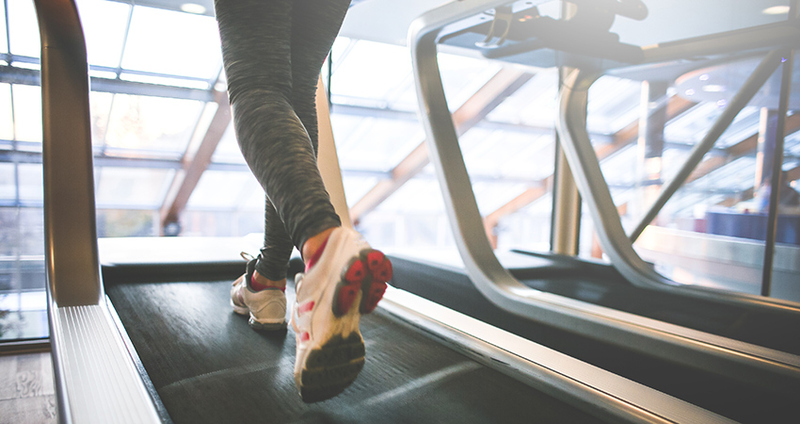 Cardio workouts can consist of dancing, running, power walking, high intensity interval routines (HIIT), rowing, elliptical, jump rope, and much more. Anything that gets your heart rate up counts! Strength workouts can include eights, Pilates, plyometrics, and bodyweight exercises, to name a few examples. Below are examples of exercises for your 30s, which include a cardio workout and a strength workout. Remember to jog or perform other light movements to warm up your muscles for about five minutes before performing the routines. Consult your doctor before beginning any new workout program. This workout will raise your heart rate and burn calories in a short period of time. It’s based on a HIIT-style training, so it’s easily adjustable to different types of exercises, depending on your preference. Mix and match a variety of movements for your intervals to keep the workout interesting. Do 20 seconds of each round with 10 seconds of rest in between each one. Repeat the round sequence 2-3 times. You can increase the amount of rounds or change out the exercises to tailor the workout to your needs. To modify this movement, walk your feet in toward your hands as opposed to jumping in. Start in the standard plank position with your back straight, your head and neck neutral, and your hands under your shoulders. Jump your feet out wider than your hip width and then jump them back into the centre. Strength workouts are essential as you get older, as muscle and bone mass usually begin to decrease with age. Aim to complete three rounds of 12 repetitions for each exercise. If you choose to do weighted movements, make sure that your muscles feel fatigued by the 12 repetitions. You shouldn’t be able to lift anymore after that last rep, so if it feels too easy, adjust your weight accordingly in order to get the best results. Squats incorporate all of the muscles in the body, especially the glutes and legs. A well-balanced cardio and strength routine will help you maintain a strong and fit body throughout your 30s and beyond. Get started with this routine and build up from there!